Today, we would like to announce the release of new education WordPress Theme “University Hub Pro” created for education related websites. 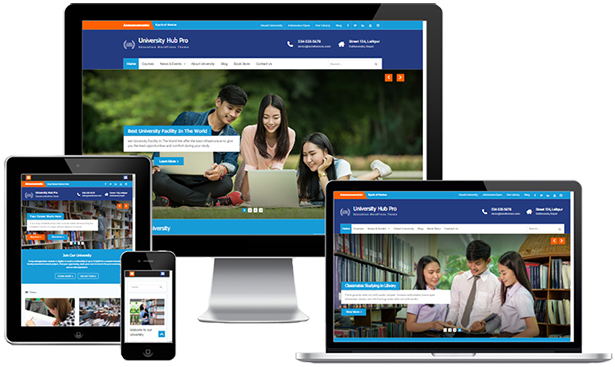 University Hub Pro is a responsive WordPress theme for university, school, college or other educational institutions. Along with educational institutions, University Hub Pro is also flexible and loaded with several features to cater the needs of design agencies, corporate websites and small businesses.